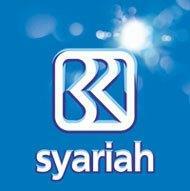 Bank BRISyariah become the third largest Islamic bank by assets. PT Bank BRISyariah growing rapidly both in terms of assets, the amount of financing and the acquisition of third party funding. By focusing on the lower middle segment, PT Bank BRISyariah targeting a leading modern retail bank with a wide range of banking products and services. In accordance with its vision, the current PT Bank BRISyariah pioneering synergy with PT Bank Rakyat Indonesia (Persero) Tbk., By utilizing network PT Bank Rakyat Indonesia (Persero) Tbk., As Sharia Service Office in developing business-focused fund-raising activities and the activities of consumer society based on Sharia principles. Minimum Education Degree (S1) majoring in Accounting or Management preferred. Experience as a AO finance at least 2 (two) years. Able to operate with both Word and Excel. If the auditor has never been experienced, as AO financing of at least 2 (two) years.